We are delighted to welcome Dr Marisa Anne Bass as an Assistant Professor, with a specialization in Northern Renaissance Art. Marisa was an undergraduate at Yale, graduating with distinction in the Humanities Major. She moved to Harvard for her MA and PhD; her doctoral dissertation formed the basis for the book Jan Gossart and the Invention of Netherlandish Antiquity (Princeton University Press, 2016). 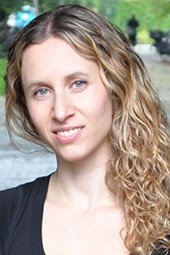 Marisa held a Mellon Postdoctoral Fellowship at Columbia University and from 2012 to 2016 was an Assistant Professor at Washington University, St Louis, where she also co-curated the exhibition Beyond Bosch: The Afterlife of a Renaissance Master in Print (St. Louis Art Museum and Harvard Art Museums, 2015). In 2015-16 Marisa held a prestigious post-doctoral fellowship at the Institute for Advanced Study at Princeton University. She is currently finishing a book titled Nature and the Crisis of Art in the Dutch Revolt, which centers around the artist Joris Hoefnagel, his itinerant career, his encyclopedic inquiry into the natural world, and his psychological response to wartime upheaval. An article relating to this project, “Patience Grows: The First Roots of Joris Hoefnagel’s Emblematic Art,” is published in The Anthropomorphic Lens, Walter S. Melion et al, eds., (Leiden: Brill, 2014). In spring 2017, Professor Bass will be a fellow in residence at the Netherlands Institute for Advanced Study (NIAS) in Amsterdam where she joins a group of senior scholars drawn from across disciplines and from universities worldwide. She will begin researching her next book project on the public monument in Amsterdam and the neglected role of sculpture and architecture in the struggle to define the humanistic ideals of the Dutch Republic. Amsterdam’s great town hall and the funerary monuments erected to local heroes in the Calvinist churches—within and beyond the capital city— endeavored to solidify the fragile status of Republicanism in the emergent nation and became sites for civic reflection and debate both in poetry and painting.